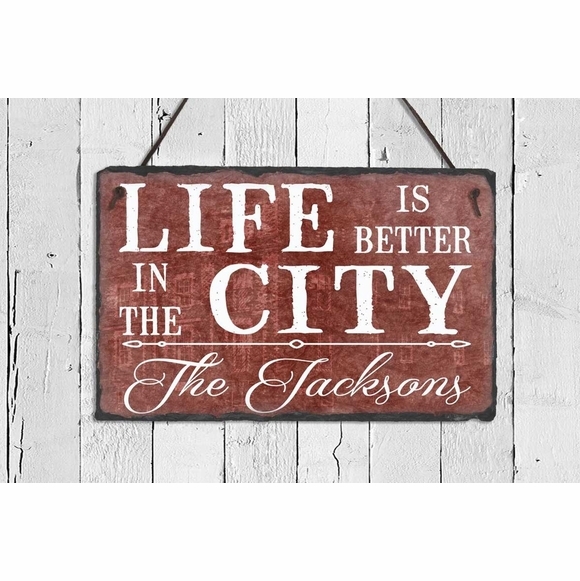 Life Is Better in the City Plaque - - slate sign personalized with a decorative accent and your family name at the bottom. Made in USA. Family name up to thirty (30) characters. Colors: reddish slate white wording. Life Is Better in the City Plaque personalized with your family name at the bottom. Made in USA.